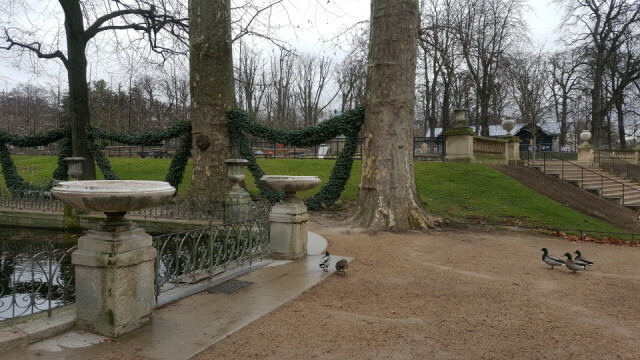 These guys looked so cute contemplating whether or not to go for a dip in the Fontaine de Medecis this morning! I'd just finished my (quite damp and drizzly) morning run when I spotted them. I worked at the Bibliothèque de l'Arsenal today and met a musicologist-friend for a drink near Bastille afterwards.